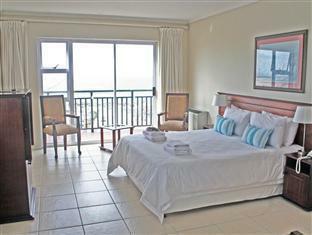 ﻿ Chapman Hotela and Conference Centre Port Elizabeth. JIMAT di Agoda.com! Ada soalan mengenai Chapman Hotela and Conference Centre? 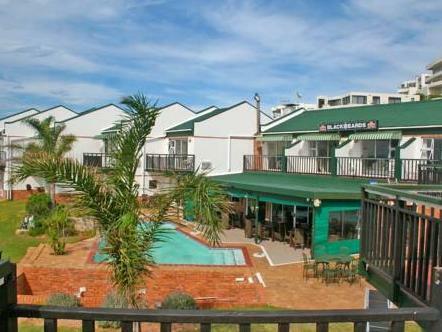 Ketika melawat Port Elizabeth, anda akan merasa seperti di rumah di Chapman Hotela and Conference Centre, yang menawarkan penginapan berkualiti dan perkhidmatan hebat. Pusat bandar hanya 11 Km jauhnya dan boleh sampai ke lapangan terbang dalam tempoh 10 minit. Untuk pilihan bersiar-siar dan tempat daya tarikan tempatan, pelancong tidak perlu pergi jauh dari hotel kerana ianya berdekatan dengan Bayworld Museum, Brookes Pavilion, Apple Express. Menawarkan tetamu hotel perkhidmatan yang unggul dan pelbagai kemudahan, Chapman Hotela and Conference Centre komited untuk memastikan penginapan anda berada di tahap seberapa selesa yang mungkin. Untuk menamakan beberapa kemudahan di hotel ini, terdapat meja depan 24 jam, fasiliti tetamu kurang upaya, Wi-Fi di tempat awam, tempat letak kereta, khidmat bilik. Semua bilik tetamu menawarkan pelbagai jenis tahap keselesaan. Banyak bilik turut menyediakan internet wayarles, bilik larangan merokok, penyaman udara, meja, beranda/teres untuk memuaskan hati tetamu. Kemudahan rekreasi hotel, yang termasuk seperti kolam renang terbuka, taman direka untuk anda melarikan diri dari masalah dan bersantai. Chapman Hotela and Conference Centre merupakan pilihan yang bijak bagi pelancong ke Port Elizabeth, menawarkan penginapan yang santai dan mudah setiap kali. Old broken aircons. Fans in some rooms. I would expect aircons. Very old. No where really to sit and do business as pub area very hot. Staff members are all super friendly and helpful but unfortunately our room was not ready at arrival. Indicated check in time between 1 and 2 pm on the booking. Staff was really nice and requested we return at 3.30pm as they had a group booking that checked out late. We arrived back at 3.40pm but room was still not ready. We were told at reception that we can check out at 11.30 am the next day because of the hold up, yet at 9.30am staff arrived and woke us up to clean the room. Very dated and cleanliness could be improved. Shower was dirty as were walls. No remote for aircon in the room. Breakfast not very good. Initial online quote and dedication from my bank account differs . Put me in a room with a queen and single which I didn't booked. Had to change rooms the next day. Rooms not nice. Shower don't look nice. A small desk with elect plug for Laptop would be nice. Would be nice if there was a small desk for laptop and elect plug. Very helpful &friendly staff. 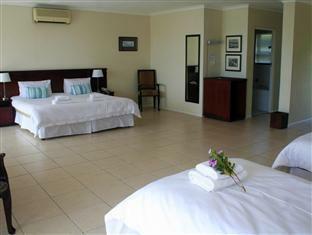 This is an older property compared to many other beach front Hotels and full of character, my room was large, light and airy. It had a homely ambience and whilst there are signs of wear this added to the appeal. Fantastic staff throughout this establishment. Superb spot overlooking King's Beach. Highly recommended. Positives; good view over the beach & docks, near beach, area felt safe in the evening, a few bars and restaurants nearby, large room with balcony. Negatives; very steep steps going down to reception area, not good for old people with baggage. 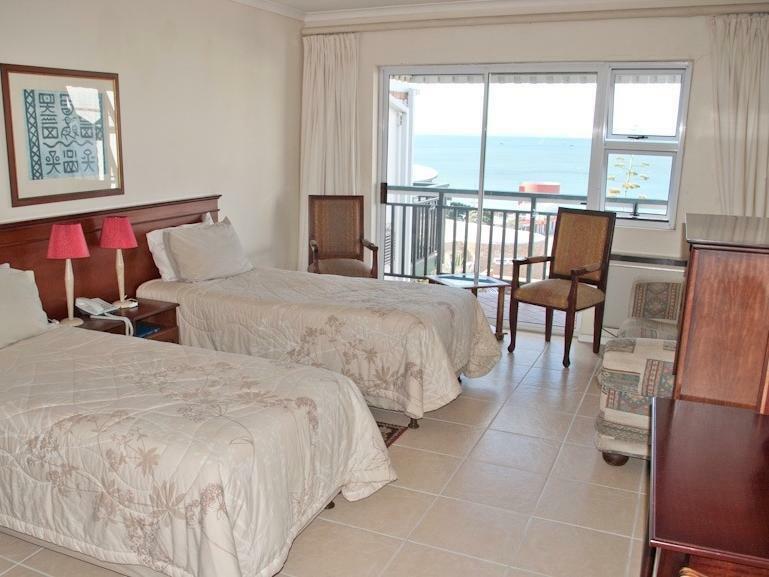 privacy, close to beach, view of the beach. We stayed over for the weekend.The room was very spacious and with the sliding door we could hear the break of the waves at the beach. Will recoomend the hotel. Disappointing. Initial confusion about our booking. Room was tired and in need of maintenance, i.e foot of one bed broken; broken lightfittings; refigerator had been removed. One has to pay a deposit in order to get an air conditioning remote control. Many better properties in the vicinity. Staff, near the beaches, close the aquarium. It was very good stay, I can recommended it my friends. we emailed the hotel to arrange a taxi and they responded immediately and taxi was waiting for us. On checking in, the room had not been cleaned, although it was around 4pm. After waiting for someone to rectify this I had to go to reception and complain again before anything was done. This was a bad start. We booked for four nights but told the hotel we may want to extend this by a further four nights and were told this was not a problem. the night before we were to check out we again reminded them and were told it would be ok. In the morning we tried to extend our stay but were told our room had been booked and if we wanted to stay we would have to move to another room and pay extra! We moved to another hotel. Also I have never been asked to pay a deposit before being allowed a remote control for the TV! We enjoyed our time at The Chapman, especially the restaurant and view. Unfortunately the service of the rooms wasn't great and the finishings in the room need a bit of attention such as no internet connection unless you're with Always On, no soaps or bath mat, no TV remote or chairs on the balcony. Room service was prompt but in chipped dish ware. Bed was comfy, shower pressure great and size of room super. Very clean. Comfortable bed but room was not adequately equipped. No mini bar. No hair dryer and no remote for TV. No room service menu.